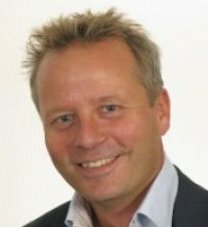 Frank is owner and managing director of Certios B.V. based in The Netherlands. Frank has over 24 years of IT experience in public companies like Devote N.V. Delta Lloyd N.V. and HSO Business Systems B.V. With Certios B.V. he has managed the funding design and build of data centers including a high profile energy efficient data center that reuses and stores waste (heat uses free cooling from passing bodies of river water. This has led to appearance in several publications and dissemination events. Frank regularly speaks at events on the topic of greening datacenters and is well known throughout the Dutch datacenter industry as a sustainability advocate. Today Frank is a board room consultant specialized in data center restructuring and greening ICT in several private and public organizations. Franks role is to represent the Netherlands DCA member’s interests at DCA Board of Governors meetings. Frank participates in the DCA sub working group Energy Efficiency.